Need a Pressurised Pond Filter that doesn't cost the earth? Welcome to the PowerBee Range of Pond Filters, Simple Fish pond Filtering Systems from small garden Ponds to Koi Filtration Filters, all designed for Cost Effective Filtering. 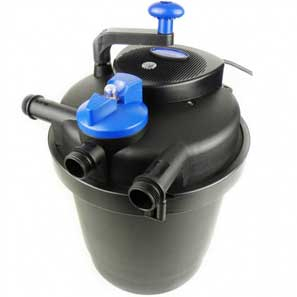 Make Filtering Your Pond simple with a Pressurised Pond Filter, Everything You need is included.